I haven't knitted any lace since I finished my Advent Scarf back in November and I'm definitely feeling the effects. I am in full blown withdrawal and will have to remedy that soon. I've already ordered some Eos from the Unique Sheep in a lovely soft pink. My original plan was to knit another Evenstar. Is that not absolutely glorious? However, I'm not sure I have enough yarn for that. Even if I don't do it this time, it definitely goes in my queue. The other option is be patient, because scuttlebutt has it that the same designer, Carmen Oliveras, may be starting another KAL in March. Looking at her designs, I would most certainly be on board for that. I will keep you posted. 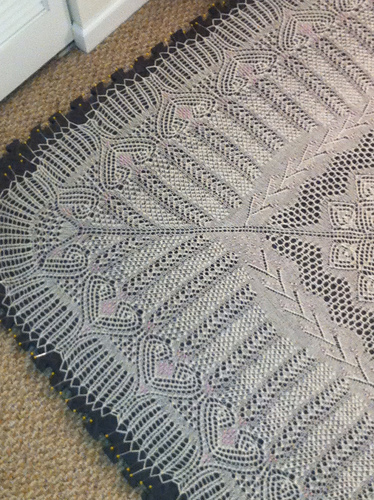 The reason I've not been doing lace was because I was so focused on finished hubby's Mountain Brook. As promised, here is the modeled shot. Doesn't he look handsome? And the fit is perfect! In the interest of full disclosure, I almost didn't post this last picture because the end result wasn't as neat as I would have wished. I should have taken more time and used better light, but at least the end result is not too ugly and is completely functional! I'm hoping it will even out more as it's washed. 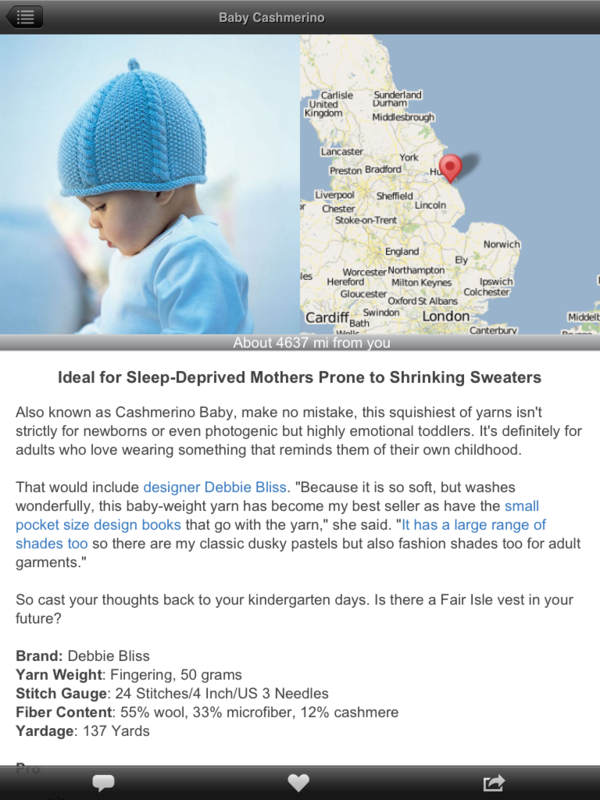 For more complete directions, check out this article in Knitty. For now it's on to more sock knitting. I've finished the first pair of the barter socks and am down to the foot on the first of the second pair. I really want to get these done and get on to something fun – like lace! I know, not a very creative title, but all my winter-weary brain can come up with at this point. Don't get me wrong – we certainly can't complain that we've had a tough winter this year. Other than the few days of Snowmageddon, it's been relatively mild. But we have entered the time when the grey skies start to take their toll and visions of warm, sunny spring are starting to seem so far away. 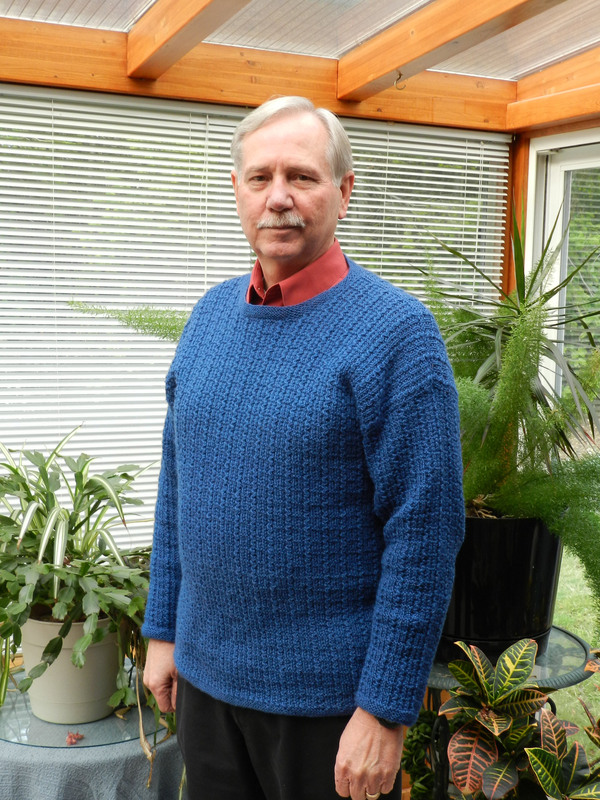 I promised hubby I would have his sweater completed by spring, and lo and behold I was able to keep my promise! Mountain Brook was finished today. All the ends are even woven in and all that's left is a nice bath and blocking, although I think it looks pretty good even without blocking. Maybe it's my imagination, but there does seem to be a very faint color difference in the skeins. I know they are all the same dye lot – the LYS double checked for me. So I'm just going to chalk it up to a strange trick of light. Yup, that's my story and I'm sticking to it. Model shots will follow once it's blocked. Stats: Mountain Brook by Janet Szabo, yarn – Nature Spun Sport by Brown Sheep, size 3 needles. 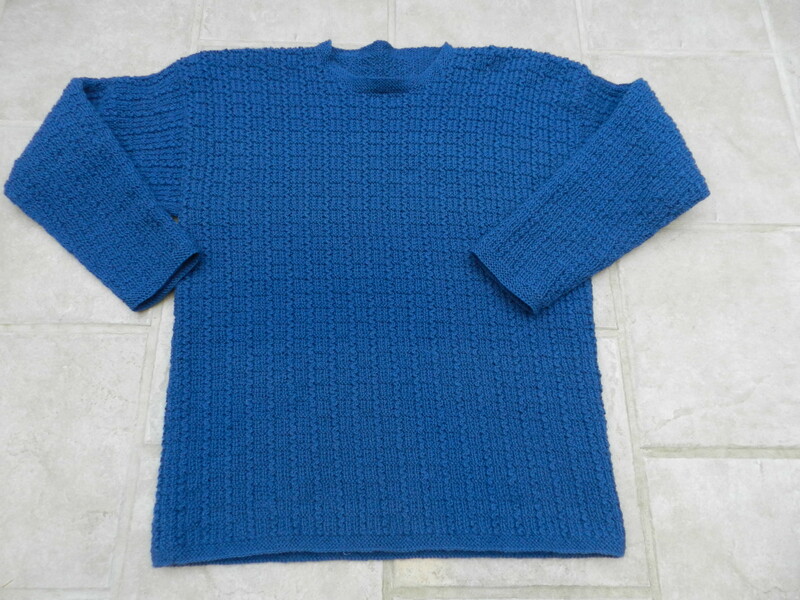 Knit all in one piece – no seaming!! Yeay! 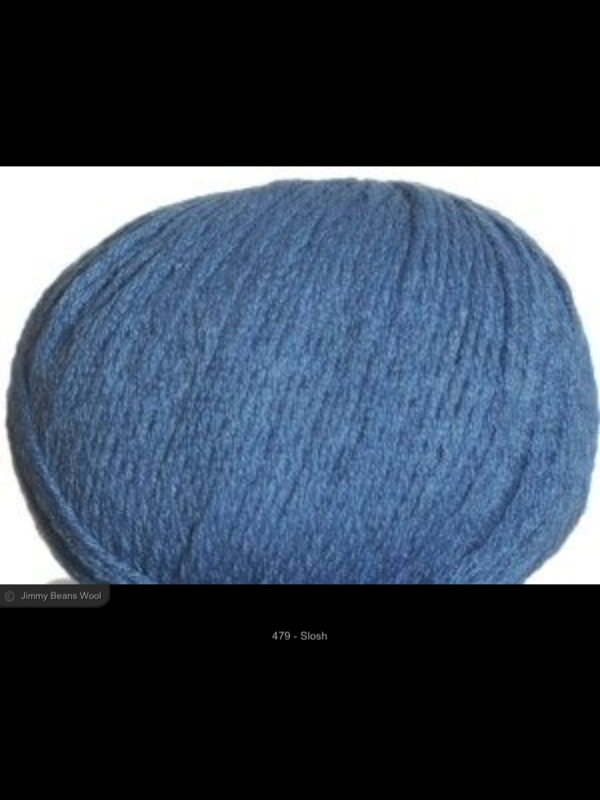 Recently I was given a copy of the app Yarn U to review on my blog. This is an app available for the iPhone or iPad that reviews yarns. You can sort by manufacturer, name, weight or (strangely enough), the distance you are from the manufacturer. When you choose your yarn, a page comes up showing the yarn and giving the basic statistics, along with a map giving the location of the manufacturer. There are also links to online companies where the yarn can be purchased, along with a spot for comments (you can add your own). There is also a list of pros and cons, which can, of course, be quite subjective. I think this is the start of a decent app, but it does need some more work. The list of yarns, although extensive, does have gaps. 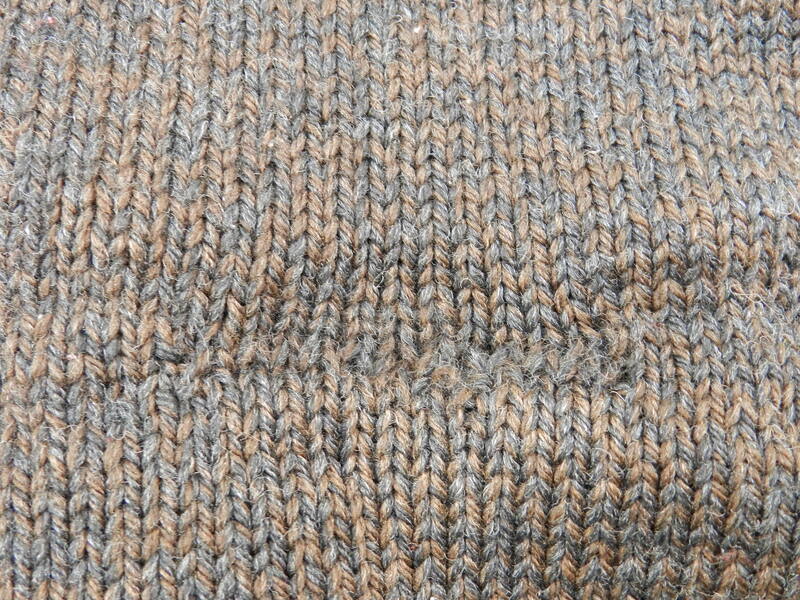 For instance, the only Brown Sheep yarn profiled is its Cotton Fleece. Only four of Knit Picks yarns are listed. I did like the reviews and the ability to add comments from knitters who had actually used the yarns would seem to be very useful. The photos of the yarns that did have a list of colors were a decent enough size to get a real feel for the yarn itself. Although there were links to online retailers, there need to be more. Only a select few retailers were offered. The one part of the app that I found most puzzling were the maps. I found them distracting. I really don't need to see on a map where the yarn was manufactured and I think they take up screen real estate that would be better filled with more photos of the yarn in use. I do think the app is slightly overpriced right now at $2.99. Perhaps in the future when more yarns are added the price would be justified, but for now it's just a little too light on information. It certainly will be interesting to see how the app evolves and I hope the developers will continue to add and improve! Once a month I have kind of a mini sewing retreat with a fun group of quilters. I think I've mentioned it on the blog before. We drive over to a neighboring island to a darling little house that's set up just for this use. 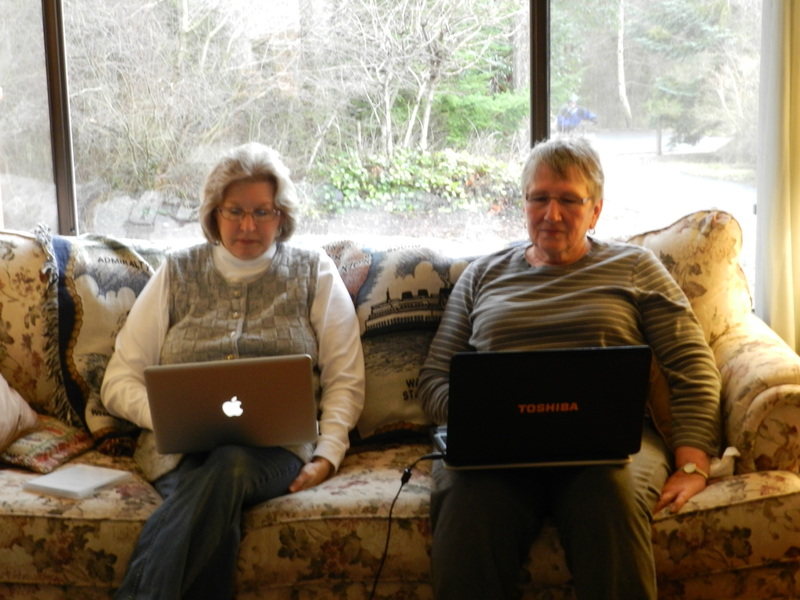 We spend the day sewing and eating with an occasional trip to two fabric/quilt shops close by. 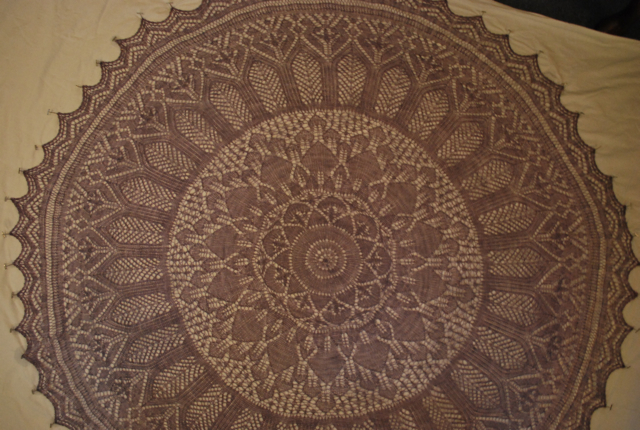 For several months I've been watching my friend Ramona work on a beautiful quilt. It's in my favorite soft pastels. She's mentioned several times that these are not her favorite colors, but she knows they are mine. I'm not sure how she came to work on it – it may have been a kit that was gifted to her. At our January get together she was putting the finishing touches on it. 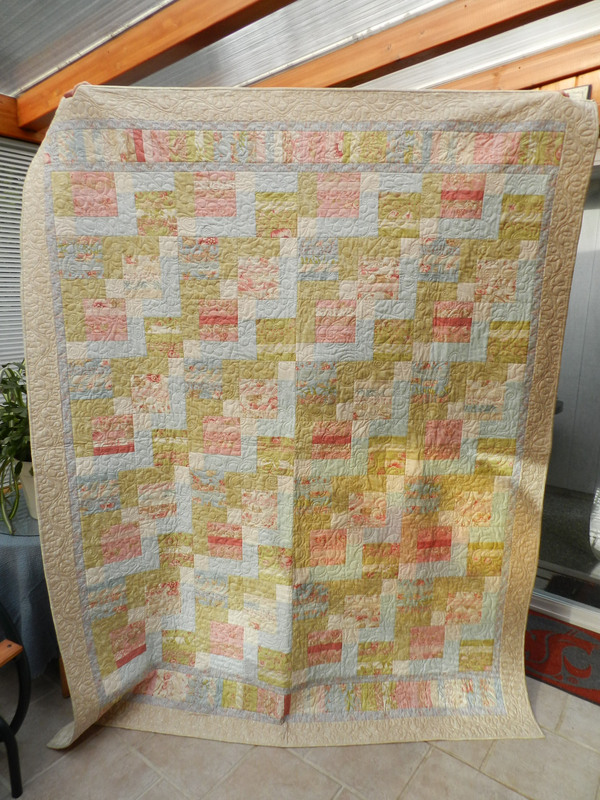 She is a marvelous machine quilter – a technique I have not mastered. She finished and held it up to oohs and aahs. She commented that she didn't know what she was going to do with it because she really didn't like it that much. I sat there contemplating if I could really afford to offer her what the quilt was worth (I couldn't), when she turned to me and said, "Maybe I could trade it for two pairs of hand knit socks." I immediately replied, "Sold!" She handed me the quilt and we drove over to the LYS and picked out yarn for her socks. We are both thrilled to bits with our trade! 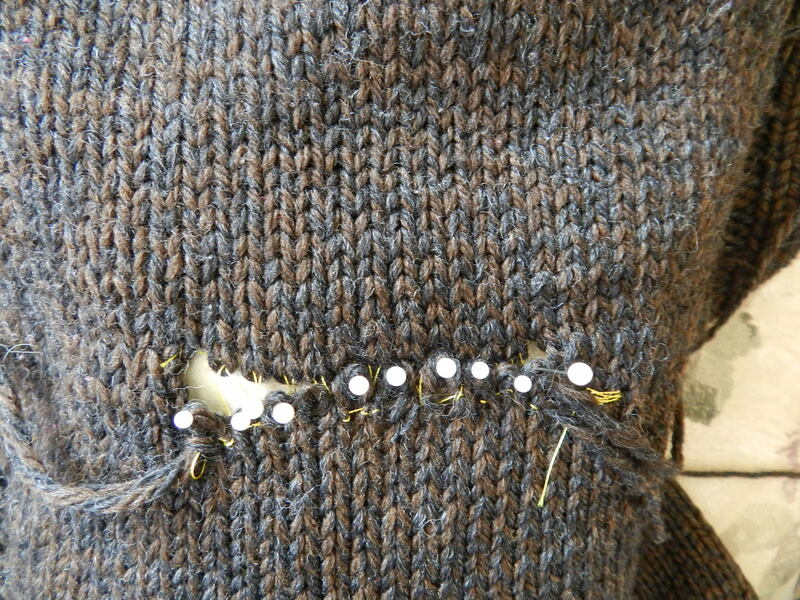 I've been working away on hubby's sweater, but suffered a little set back. I had finished the decreasing on the one sleeve and had him try it on. 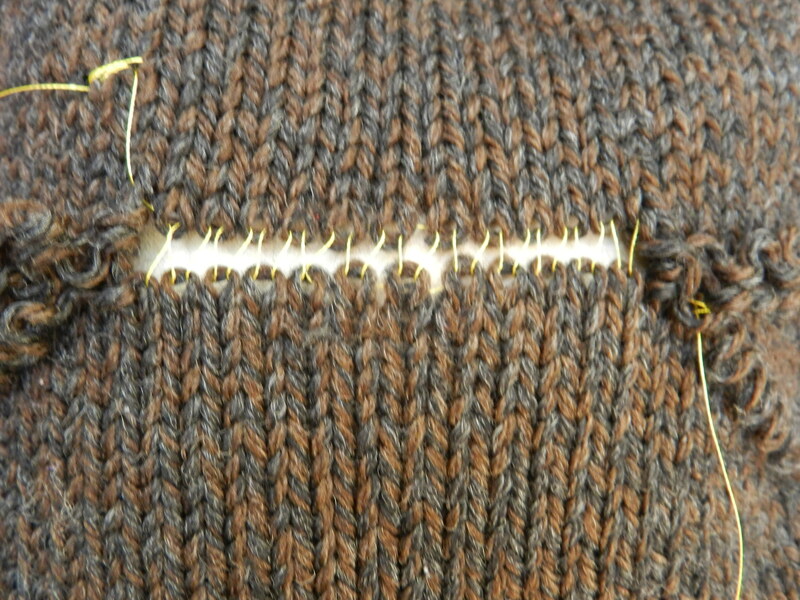 The sleeve was way too tight, so I had to rip back and pick up stitches for the larger size. 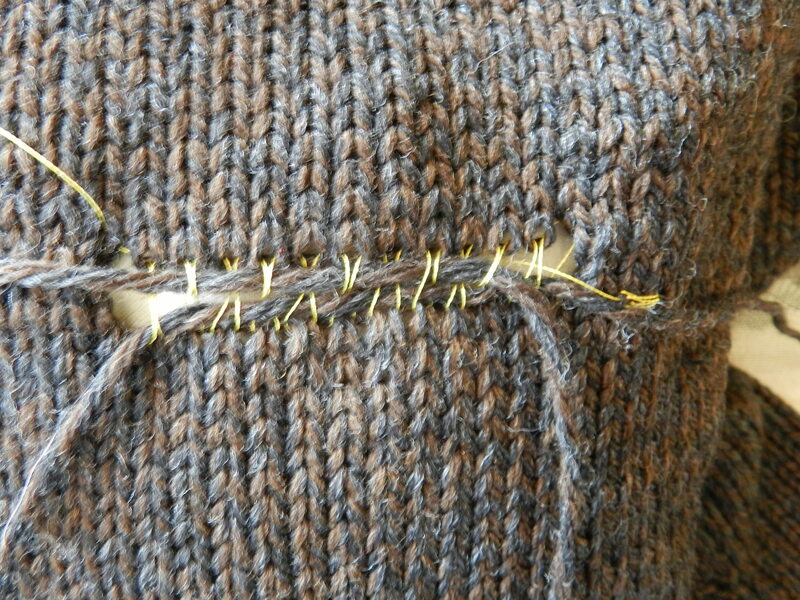 It was then I remembered that I had lengthened the armhole (duh!). I'm back on track, but sleeve island is proving to be a pretty boring place. No pictures because I'm pretty much at the same spot I was in the last post. So, in self defense I fall back occasionally on Cape Cod. I'm still not sure what the fit is going to be on this. I keep running the numbers, but gauge-wise I often see what I want to see! And we all know gauge lies. 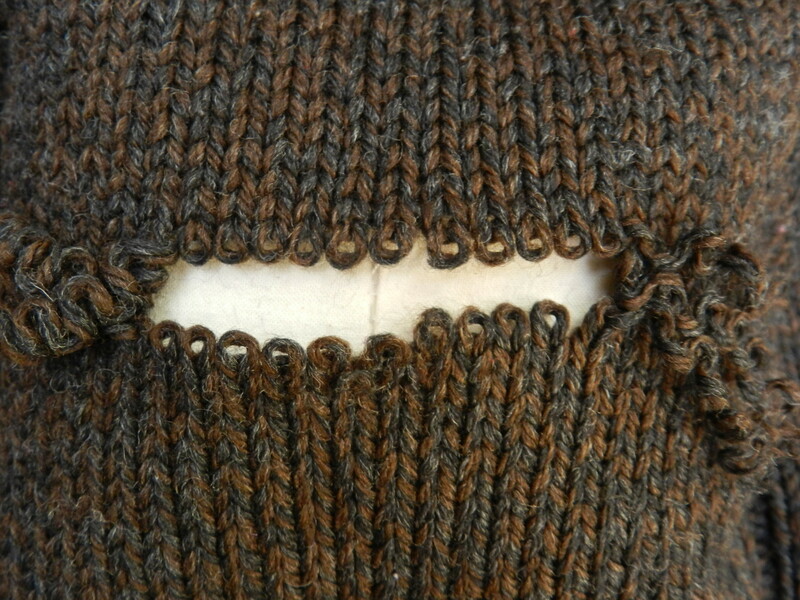 This will probably be a little bit of an over size fit, but Starmore sweaters often are. However, I am loving the yarn and the pattern. I can't say enough for the Knit Companion app on the iPad. I honestly don't think I would be loving this pattern so much without the convenience of KC keeping my place in the pattern. And no juggling of paper charts! 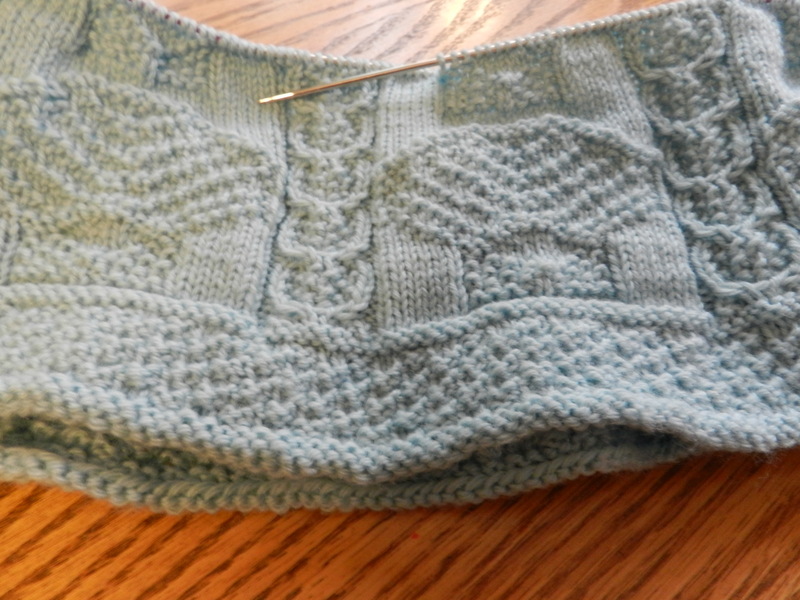 After my miscounting adventure in casting on, I almost switched to another Starmore pattern (Eriskay), but decided that it was now or never for Cape Cod and I'm very happy with the decision. Speaking of iPads, I had a little misadventure. I had decided to go bare with mine (the iPad silly, not me!) 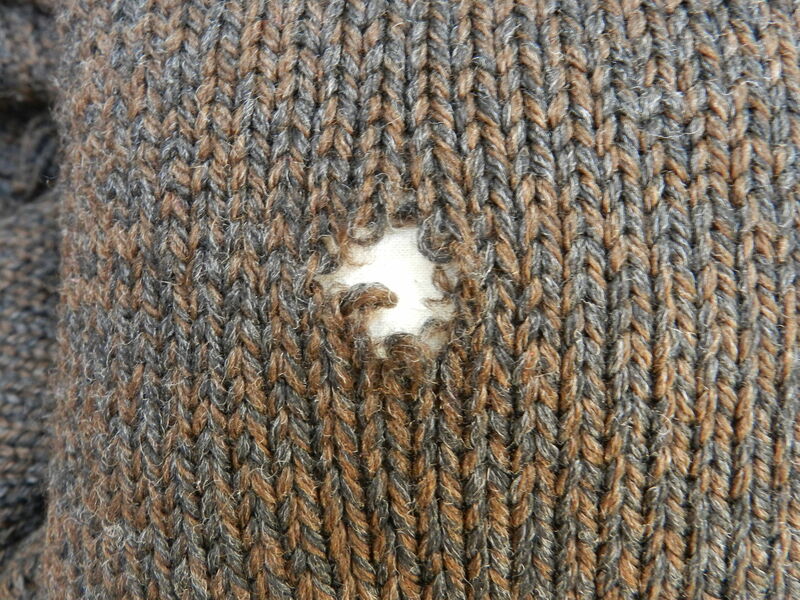 But one night I had it sitting on my lap and as I reached into my knitting bag for something, it slid off my lap, did a huge flip in the air and landed face down on the hardwoos floor! I picked it up and horrors of horrors – there were three cracks in the screen. Fortunately I had bought the extended warranty that the Navy Exchange offers on electronics and accidental damage is covered. It is now in the hospital getting repaired and I'm back to sharing one with hubby. And I've bought a case with bumpers on the corners to prevent this happening again. So – I think just relaxing and taking it easy is on my agenda for a few days yet. The doctor said this is a tricky one to get over. The good news is that I don't feel so bad that I can't knit, quilt or scrapbook, so I'm certainly not bored. Whatever do people do who don't have such consuming hobbies? I feel so very blessed to not only have those interests, but the tools and supplies to indulge them!